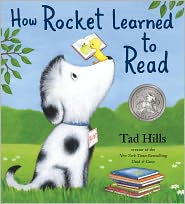 The award winning book How Rocket Learned to Read, written and illustrated by Tad Hills, is perfect for beginning readers. 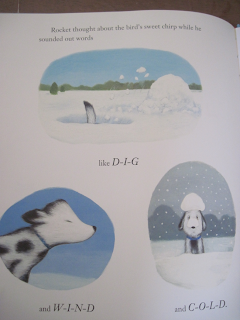 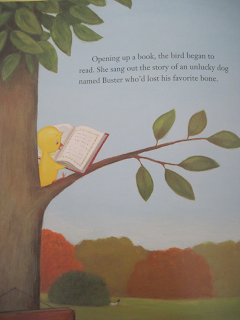 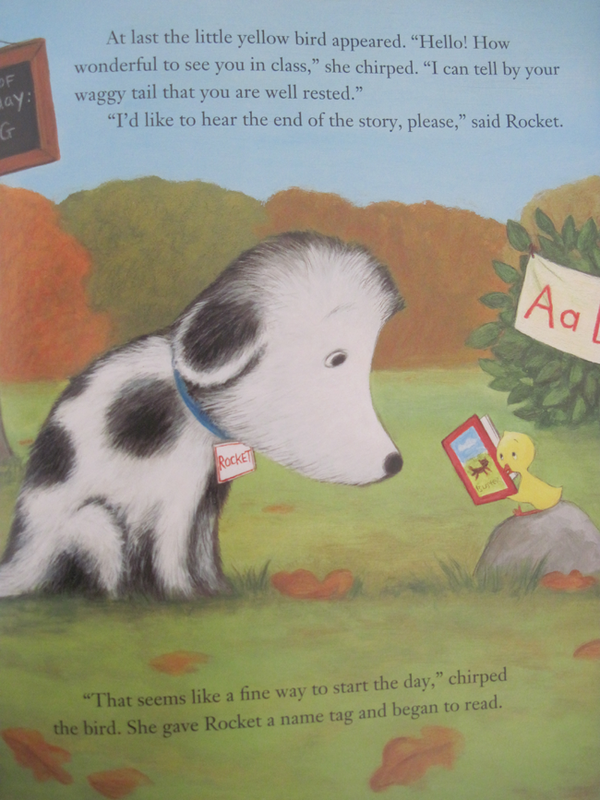 The book is about a spotted puppy who learns how to read with a little help from his teacher, a little yellow bird. 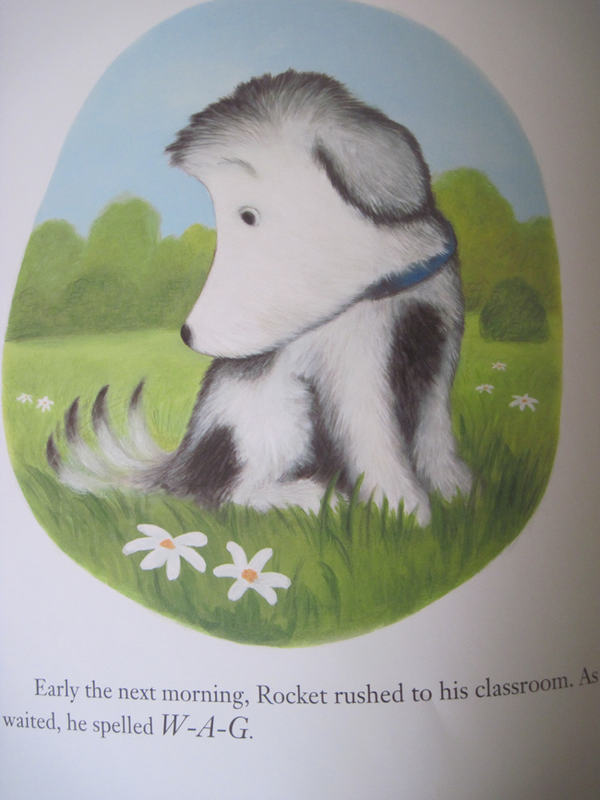 On many of the pages you'll see simple 3-4 letter words being spelled and sounded out by Rocket. It retails for $17.99 but can be purchased used for $8-10. We'll be picking this book up when Timothy gets a little older.